These fun leggings have seashells scattered throughout. The hem detailing features delicate crochet trim. These are capri length, not full length leggings. 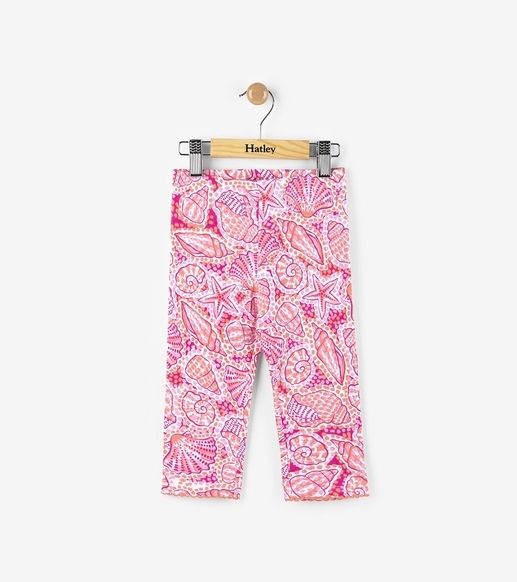 Pair with one of our Hatley tops for a complete outfit. 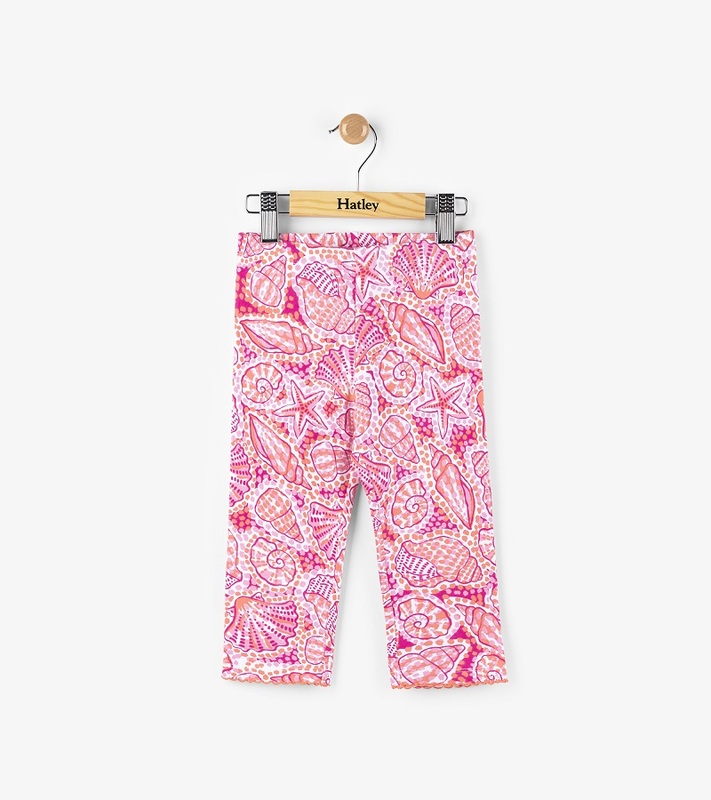 Made of 92% cotton, 8% spandex by Hatley.